Get ready to soar on your feather painting skills! In this 2 hour workshop, you will learn color blending, layering, and helpful techniques in using both pallet watercolors and paint pens. 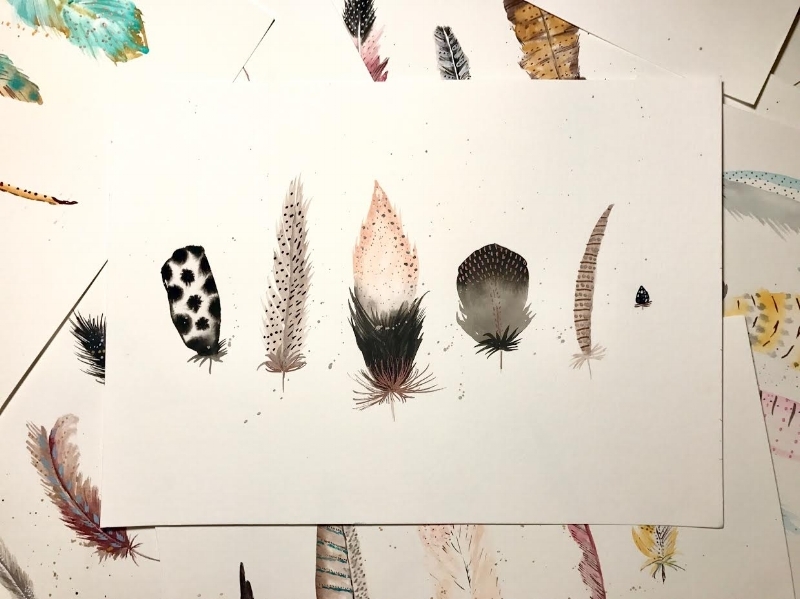 Although the instruction will be the same for everyone, you will walk away from class with a one of a kind feather painting of your own creation. Please feel free to BYOB! Please enroll by 1/24 to ensure your spot in the workshop! Missed the deadline? Don’t worry - you can use the link below to sign up until the day of the workshop! Carving & Casting a Ring with Dana Bodourov & Silke Labson | $150 Individual / $275 Friend Rate!